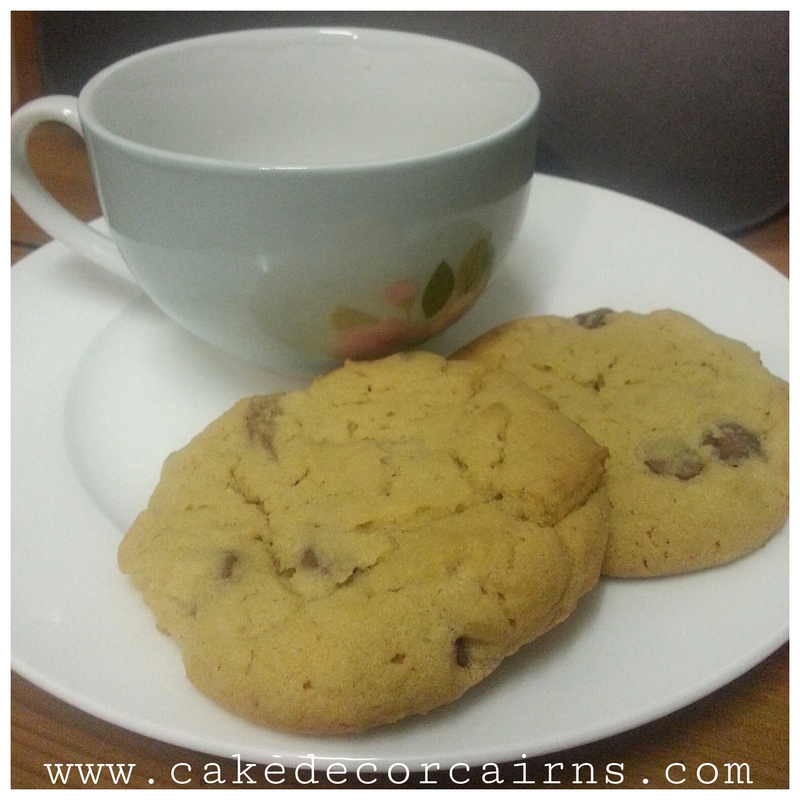 Cake Decor in Cairns: Best Cafe Style Chocolate Chip Cookie Recipe : Rated Yum! 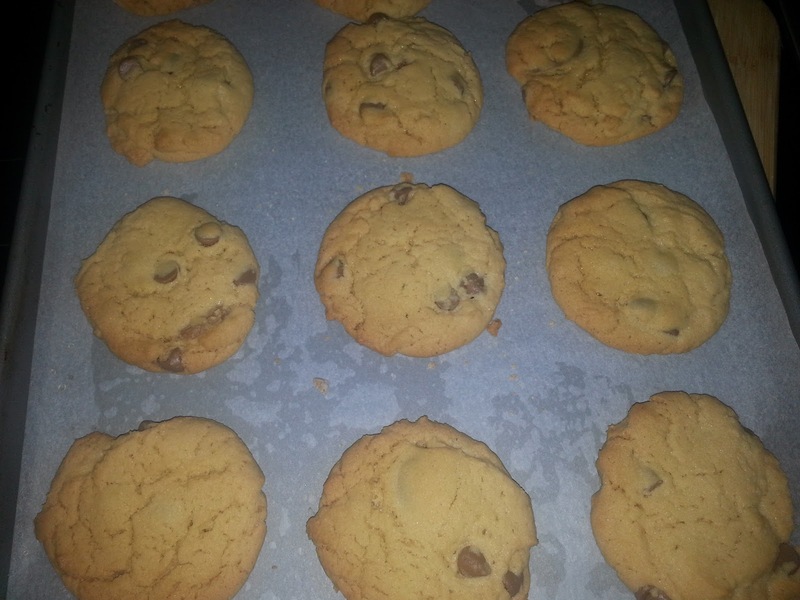 Best Cafe Style Chocolate Chip Cookie Recipe : Rated Yum! My kind of afternoon tea. I have a weakness for these chocolate chip cookies, so much so that I don't often make them. They are so easy to make and even easier to eat! There's nothing I enjoy more that a nice afternoon cuppa with a cookie or two, ok maybe three! You can substitute the chocolate chips, add any thing you like to the basic recipe and turn them into any flavour you like. One of my favourites is white chocolate and macadamia nut pieces. I just use a hand held mixer in a large bowl to cream the butter and sugars, I find there's no need to pull out my big freestanding one for these cookies. The brown sugar gives these cookies a slight hint of caramel to the base. If you don't have brown sugar on hand you can use all white sugar, but the taste is not going to be the same. Don't be tempted to walk too far away from the kitchen when baking, the 10-15 minutes goes very quick and they are very easy to burn. Only cook until lightly golden for a soft chewy texture, or just a little longer for more of a crunchy style cookie. Everyone's oven is different, so it's even more important on your first batch to keep an eye out. When you pull the cookies out of the oven they will be very soft - do not attempt to move them onto a cooling rack until they have had a few minutes to cool on the trays first! If you don't wait, your cookies will be smooshy and break and you will incorrectly think they weren't cooked enough. As they cool they will harden up enough to move them on to a wire rack to cool completely before you taste a few *cheeky grin* and pop the rest in an airtight container. 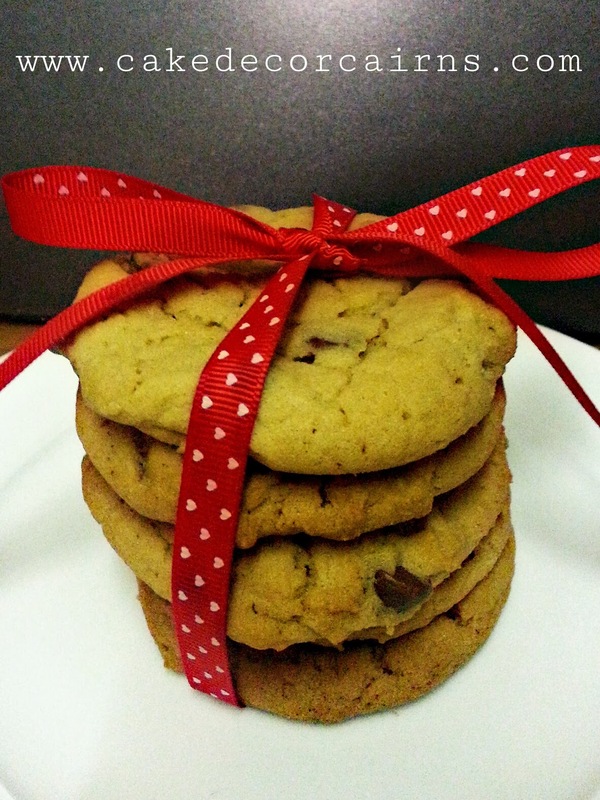 Cookie Stacks make lovely gifts. In a large bowl cream/mix butter until a little whipped, add both sugars and continue to mix until light and fluffy. 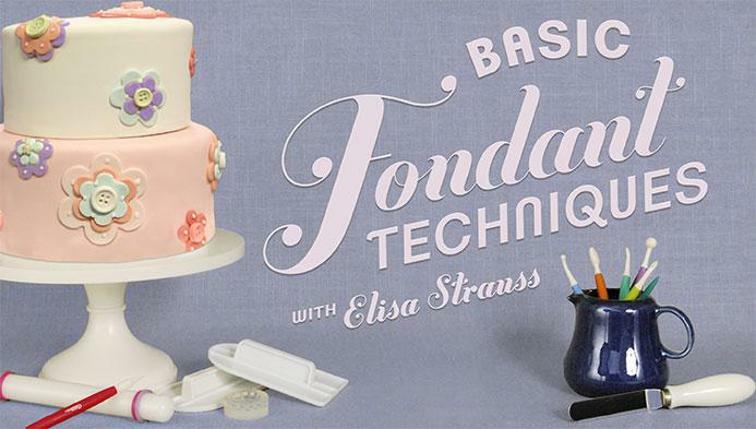 Add vanilla and continue mixing while adding 1 egg at a time until fully incorporated. Replace hand Mixer for a large spoon and mix in the remaining 2 cups of flour. Scoop balls of mixture using the size spoon that matches what size cookie you want - a tea spoon for smaller supermarket packet sized cookies or a larger spoon for those large cafe sized ones. For rustic style, you can just place each scoop straight onto your baking paper lined trays, or if you want a more circular shape, roll them lightly in your hands to get that even circle shape. I pat each one down very lightly but still leaving it as a ballish shape - the cookie dough will naturally flatten and spread during the cooking process. *Do not place dough balls too close together as they do double in size. You can easily substitute the Chocolate chips for any flavours or nutritional boosts you prefer.